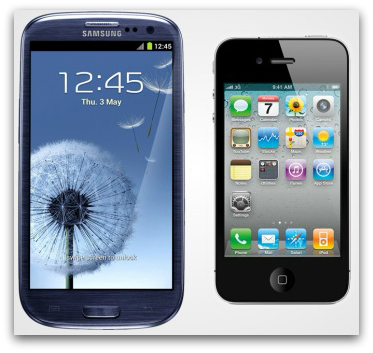 So for this week we bring you the two biggest rivals at the moment in the smartphone market, they are of course, the Apple iPhone 5 vs Samsung Galaxy S3. Rear Camera 8 MP – autofocus with flash, HDR, face detection, panorama mode, zero-shutter lag, noise reduction. 8 MP – autofocus with flash, HDR, face detection, panorama mode. Noise reduction. Battery Life 11 Hours talk time on 3G, 790 hours standby time. 8 hours talk time on LTE, and 8 hours on 3G. 225 hours standby time. Looking at these specs, if you put the iPhone 5 against the Samsung Galaxy SIII – then clearly the SIII comes out as the winner. With Apple’s massive fan base, and a lot of people not knowing what NFC is, let alone what it does – this begs the questions does spec really matter? Which Smartphone would you chose?